It’s been a busy year and I’m happy to report that I’m picking up more business. Since I like to keep an eye on my finances, I try to stay on top of all my obligations. Using a monthly budget I pay my business expenses on time and quarterly I examine my finances to pay my estimated taxes by September 15. I’m not alone – if you are an independent contractor or have additional income besides your job, you may have to pay as well. What are estimated taxes? Do you need to file? If so, how do you pay them and when are they due? Let’s go over some of the main points estimated taxes. In the United States we have a “pay as you go” tax system. While taxes are due each April, the government expects most of your taxes throughout the year. Employees at work have a certain amount automatically withheld from their check. For those self-employed, though, they have to submit their tax payments themselves. Estimated taxes cover your income tax as well as Social Security and Medicare. Estimated taxes are due on a quarterly basis. Here are the upcoming due dates for the next year. 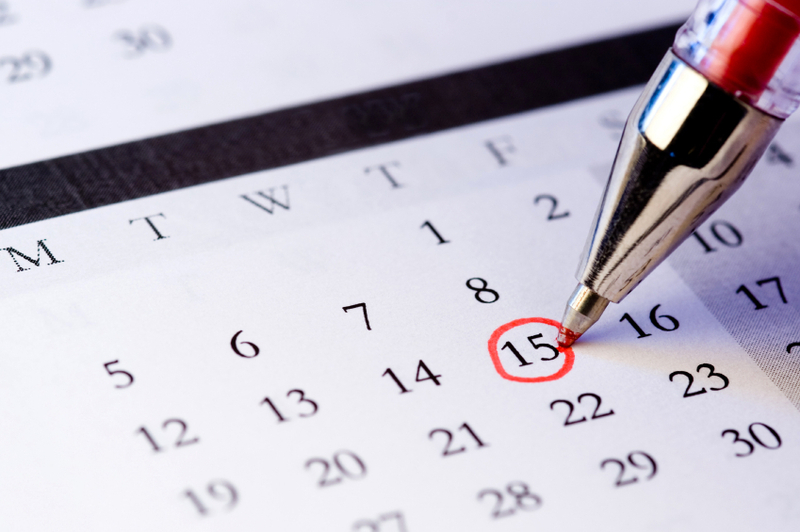 Mark your calendars and set up reminders to prepare and calculate your estimated taxes. Use form 1040ES for your payments. You have options on how to pay your estimated tax bill. Use one that is comfortable for you. If you decide to mail in your payment, the IRS location your send it to is based on the state you reside in. The IRS has a complete list for you to use when you mail it in. Please be aware that your payments should be postmarked by the due date to avoid penalties. A copy of your tax documents – Your name has to match it exactly when you enroll. Select which enrollment you need to complete – You can choose individual or business. Submit all the information as requested. You should received confirmation in the mail approximately 10-15 after enrolling. You will receive your PIN in a separate mailing. You need the PIN to log in and make payments. Once you’re enrolled it’s quick and easy to make the payments. Have you paid your estimated taxes? i did some temp work and received a 1099-misc, i made payments on eftps.gov already, but where on turbo tax do i demonstrate that i remitted payments already? it was not fair as it was. If 20 wasn't fair, how is 15 pcneert fair NOW?Heck, Herman Cain wants to put it as zero! Does this mean that you don’t have to do your yearly taxes in April (if you pay estimated taxes throughout the year)? I need a program connected to last year’s TurboTax info that I can use to modify my estimates of this year’s income, deductions etc. so as to adjust my estimated taxes as new information comes in, especially about my income. This program needs to have the rules about underpayment penalties and when they do not apply and how much they will be based on different levels of estimated payments. Help!!! Is Quicken the tool that will do this?